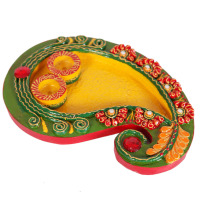 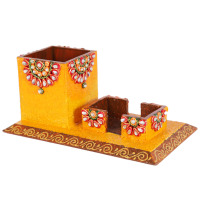 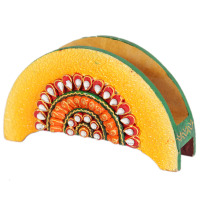 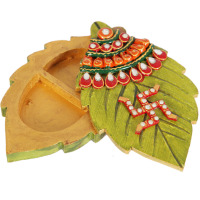 Gift your near and dear ones this attractive dry fruit box with an air of elegance that comes with a wooden base and a suitable wooden cover complete with kundan style of gem stone settings. 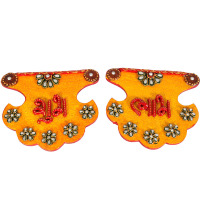 Kundan refers to a technique that is used for designing and decorating jewelry, fabrics and handicrafts. 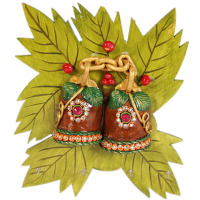 This is one of the oldest forms of jewellery decoration practiced in ancient times and the art had spread in many parts of the world. 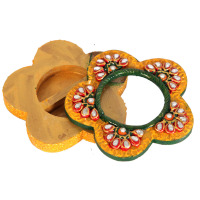 The process of Kundan décor or jewel setting involves setting the Kundan gems on surface by inserting gold foils between the mount and the gem stones. 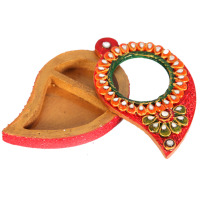 Ornaments and gifts made from Kundan jewellery are well known in all parts of India, as well as in various other countries abroad including USA, UK, Australia, Singapore etc. 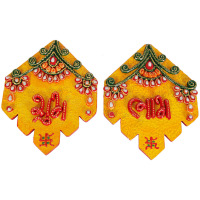 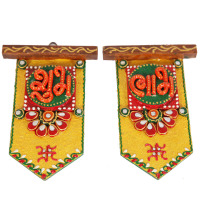 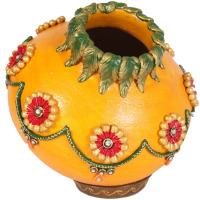 This traditional and antique form of decoration is known for its royal opulence that is often associated with Indian culture and prosperity. 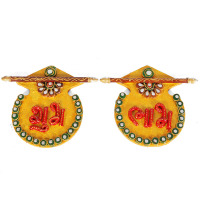 The term Kundan itself, when translated means refined gold. 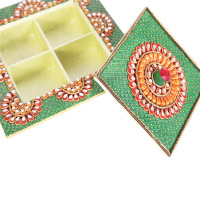 Kundan crafts are highly sought after because they are rich aesthetically and generally more affordable and easier to maintain. 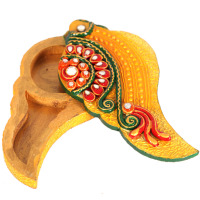 The basic process of kundan work is applied on a piece of wooden handicraft or item where Kundan gemstones and pearls are added on top of a wooden base to complete the overall look. 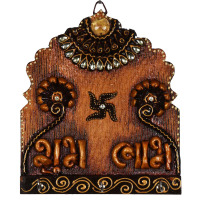 The process of adorning gems on the wooden surface is intricate to ensure that the designs and patterns are neat and pleasing to the eye. 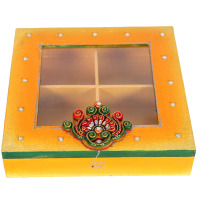 The process of Kundan work is carried out by expertly trained craftsmen, there are those that create the overall design, others are responsible for the engraving process while the jewelers themselves apply the final elegant design that you will consequently enjoy and appreciate. 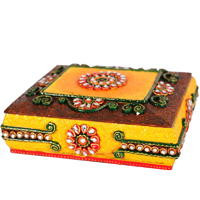 An outstanding fact is that the varied kundan designs makes one look more stylish and fashionable. 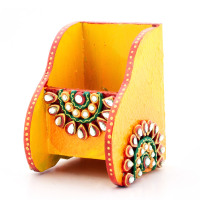 Kundan work itself is so extraordinary that anything, whether jewelry, fabrics or handicrafts, that is decorated using it would make an excellent addition in the household or as a gift at a wedding or a corporate event. 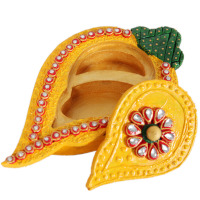 Today, since the variety of Kundan jewelry is extensive, there is a design and handicraft to suit each person, event or home décor. 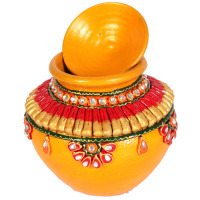 Moreover, most Kundan handicrafts are easily accessible and easy to maintain for long term use. 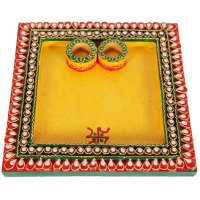 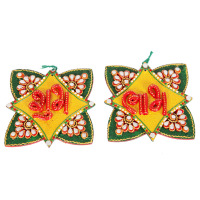 Most Kundan crafts can be cleaned easily with a piece of cloth. 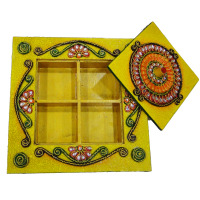 However, it is still important to ensure that you store your handicrafts well to ensure their durability. 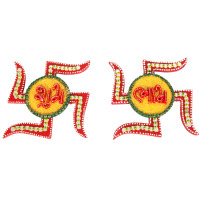 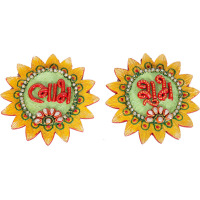 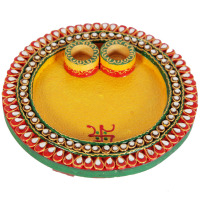 FROM WHERE ARE KUNDAN HANDICRAFTS BOUGHT? 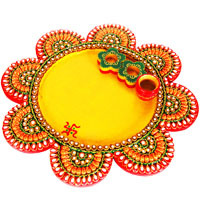 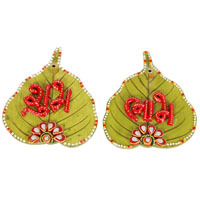 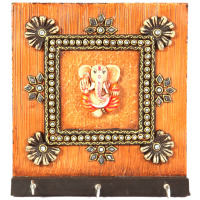 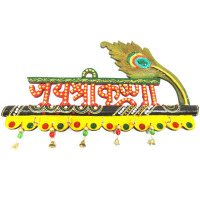 For the best price, Kundan crafts are found readily in well-respected online shops like Boontoon.com. 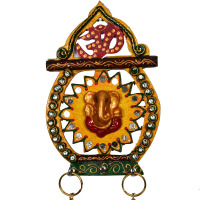 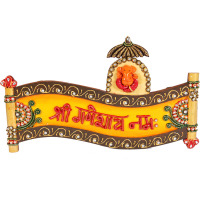 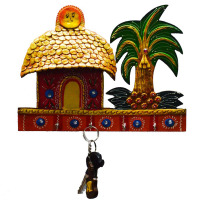 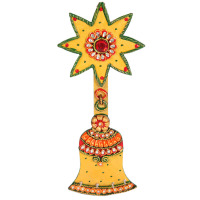 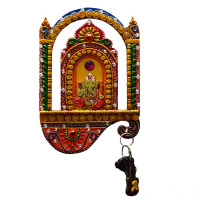 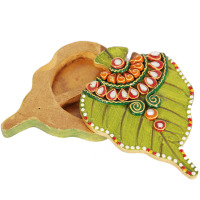 We have wide array of wooden kundan items such as pooja thali, chopra, subh labh toran, dry fruit box, key holder, pen holder and more. 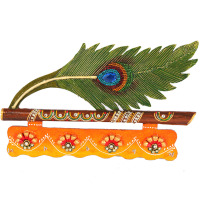 Because everything that is available for sale here is of the highest quality possible, the range of products have received raging reviews both locally in India as well as in other international avenues in regions like USA, UK, Australia, and Singapore.